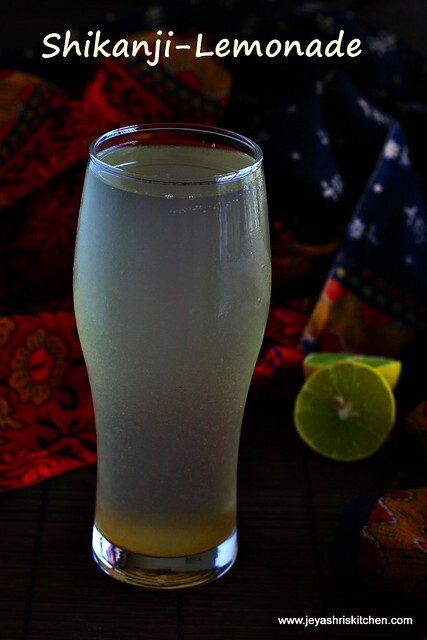 Shikanji is a popular summer drink of North India. 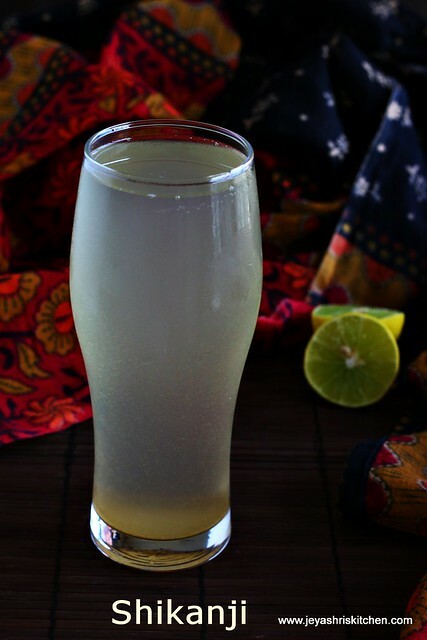 It is also called as Indian lemonade. I have first tasted this 2 years back in a birthday party. It tasted like lemonade but was bit different too. Then another friend told me that it is Shikanji, a popular drink of North india. Also she told me the ingredients of the shikanji too. After that i tasted a similar one in Pizza hut last year in India as masala lemonade. It is almost the same but they have added plain soda to that . Past few days we are experiencing a very hot sunny days and suddenly i remembered of this drink and made it at home. Everyone liked it and i thought i will post the recipe of shikanji here. Stay hydrated this summer by taking lots of water, watermelon, cucumber, ash gourd and lemons. Avoid eating very spicy food. Check out my summer coolers collection for more recipes. A cousin of mine, who is a classical dancer, is conducting a workshop in art, music,dance and theatre for the underprivileged children. Please contribute your donations for that through this website. - https://www.ketto.org/kalakrida. Thanks in advance. Squeeze out the lemon juice from the lemons. Discard the seeds if any. I generally use a tea strainer for this. Add all the ingredients to this, except mint leaves. Let this sit for 5 minutes. Filter this using a strainer. Add mint leaves while serving. I didn't have mint leaves so i didn't add. Add some ice cubes and serve chill. You can add plain soda to this. If adding soda add 3 cups of water and add 1 cup of soda. If black salt is not available, use normal salt only. Surely a refreshing drink Jeyashri.